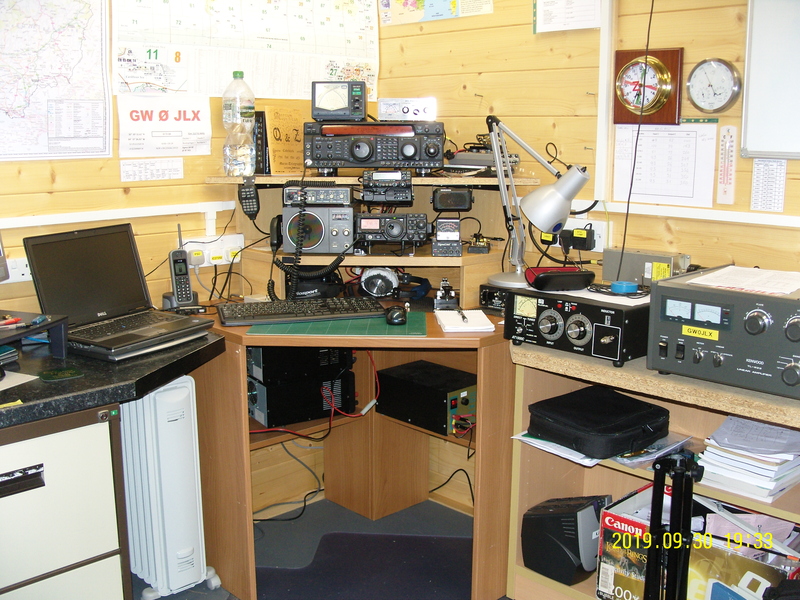 Hi - and welcome to this simple webpage from the shack of Andy, GWØJLX, more colloquially known as the 'Jolly Large X-Ray', operational on HF, 6m*, 4m, 2m and 70cm, hi hi. (* I've got a problem with 6m at present). I am an active member of RAYNET, the Radio Amateur Emergency Network, and currently belong to both the HF group and the National Group. Having just relocated to Wales (a delightful country to the West of Engand), I am required to alter my previous callsign by adding a second letter "W" to the "G" prefix (this is called a Regional Secondary Locator). This second letter indicates that my main station is located in Wales. On a slightly historical note, I started off with a borrowed Yaesu FT-101 HF rig from the Southampton Amateur Radio Club in 1988 and made a very simple home-brew multi-band trap dipole which, when strung down our 120 foot long garden of the time, worked fairly well on three of my favorite bands, 15m, 20m and 40m. I also slung up a quarter-wave zepp between a couple of trees with a half-decent counterpoise for 80m and top band that worked quite well on 80m, but not so well on 160m. 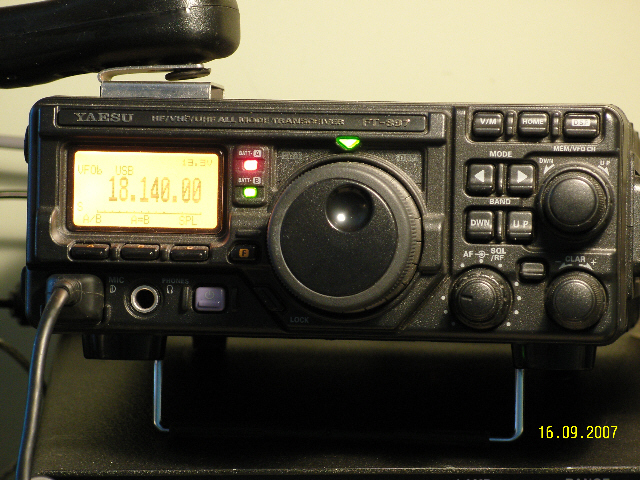 These days, the FT-101 is long gone back to its owners, and I run an FT-897 for the most part (more of that below) and an older FT-102 which is also a lovely rig for backup HF use. I also have a commercial Motorola CM-360 4m FM rig which I dust off occasionally and activate, an FT-857 for portable and mobile use, a couple of dual band Icom IC-2725e for 2m and 70cm FM mobile use and a couple of handhelds for 2m and 70cm FM as well. 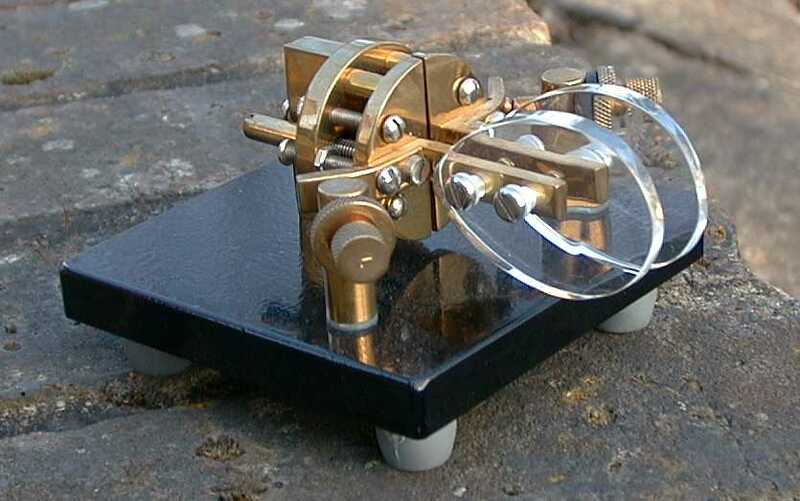 My main interest these days is HF PSK-31, SSB and CW, although I do still thoroughly enjoy operating on the 4m, 2m and 70cm bands, hence the other rigs which I have enjoyed for many a year. If you catch me about mobile, I will most likely be operating the ICOM 2725e as this is a nice little dual bander that works well in the car or possibly on the FT-857. During this second Welsh phase, now we have moved out of Broad Haven, I am running just the FT-897 on HF and the FT-857 on VHF / UHF from a /p location close to my new home in Cilgerran (IO 72 QB) whilst I am in the process of building the new shack there. The "temporary" QTH is a hilltop some 410m AMSL (IO 71 OW) where I can only erect simple centre-fed dipole type aerials for HF and use a 7/8ths for both 2m and 70cm. The HF modes at the moment tend to be more SSB as it is very difficult to get any data going when /p. You might find me at the bottom of the bands operating a bit of CW (straight key). I am not generally a contester, but I am happy to give a few points away from time to time.